Recalling his first night at Auschwitz at age 15, Elie Wiesel wrote a decade later, "Never shall I forget that smoke. Never shall I forget the small faces of the children whose bodies I saw transformed into smoke under a silent sky. "Never shall I forget those flames that consumed my faith, forever...Never shall I forget those moments that murdered my God and my soul and turned my dreams to ashes." These words are from his book, "Night," which he originally called "And The World Remained Silent." He waited for ten years after the war for perspective before writing it. However it was rejected by every major publisher though Nobel laureate Francois Mauriac worked hard to market it. "For the survivor who chooses to testify, it is clear; his duty is to bear witness for the dead and for the living. He has no right to deprive future generations of a past that belongs in our collective memory. To forget would be not only dangerous but offensive; to forget the dead would be akin to killing them a second time." Indeed, for a time he lost his faith, which had been deeply nurtured as a child. He reports in "Night" what happened on one Rosh Hashanah. He hears thousands of fellow Jewish prisoners cry out in unison, "Blessed be the Almighty!" They are kneeling and worshipping. But this day he does not kneel, but stands and recalls in "Night:"
"I no longer pleaded for anything. On the contrary, I felt very strong. I was the accuser. God the accused. My eyes had opened and I was alone. Without love or mercy. I was nothing but ashes now, but I felt myself to be stronger than this Almighty to whom my life had been bound for so long. In the midst of these men assembled for prayer, I felt like an observer, a stranger." The crowd chanted, "Blessed be God's name." "But why should I bless Him? Every fiber in me rebelled. Because He caused thousands of children to burn in His mass graves. Because He kept six crematoria working day and night, including Sabbath and the Holy Days? Because in His great might, He had created Auschwitz, Birkenau, Buna and so many other factories of death?" Of course, God did not create Auschwitz. The Nazis did. In time, America and the allies defeated Germany. And Wiesel regained his faith. In accepting the Nobel Peace Prize in 1986, he opened by saying, "Blessed be Thou...for giving us life, for sustaining us, and for enabling us to reach this day." Author of more than 40 books, Wiesel made it his life's mission to speak out about evils of the present as well as the past. He inspired the building of the U.S. Holocaust Museum, and at its dedication, he challenged President Bill Clinton: "Mr. President I must tell you something I have been in the former Yugoslavia last fall. I cannot sleep since what I have seen. As a Jew I am saying that. We must do something to stop the bloodshed in that country." Clinton accepted Wiesel's challenge, leading NATO in two bombing campaigns in the Balkans, first against the Bosnian Serbs and four years later to stop ethnic cleansing in Kosovo. Wiesel later criticized Clinton for not doing anything to stop the genocide in Rwanda. "I think we could have prevented that massacre. Why didn't we?" 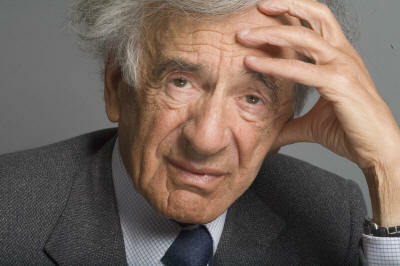 Wiesel also gave voice to the millions of Jews living behind the Iron Curtain. He first traveled to the Soviet Union in 1965, and was shocked that Jews were too "afraid to recount Soviet persecution, terrified of reprisals, but their eyes implored him to tell the world about their plight," wrote Natan Sharansky, a former Soviet political prisoner. Wiesel wrote a book, "The Jews of Silence," in which he made an impassioned plea for Jews around the world "to shed their indifference and speak out for those who could not." The major American Jewish organizations were unresponsive. Therefore he and Sharansky organized a March for Soviet Jewry in 1987, and visited scores of universities, galvanizing activists to participate. That prodded all big Jewish groups to finally get behind it. The result? Millions of Soviet Jews were allowed to emigrate. Many went to Israel. As a voice for the voiceless, Wiesel became known as "the conscience of the world."